Already as the courier was unloading the subwoofer from the truck, I knew this was going to be a heavy experience – in several ways. Firstly the more than 60 kg heavy subwoofer needed to be dragged inside and connected, which demands quite a bit in terms of physics, but even when it started playing it got quite physical. The impression of Arendal Sound Subwoofer 3 is that they haven’t spared on anything. The cabinet is heavy and properly made, and the amplifier delivers what it promises and then some. The drivers, yes because there are two of them, are powerful and precise. They are 13.8-inches each and are designed just for this subwoofer. The amplifier is an Avalanche DSP1000 rated at 1000 Watt RMS in class D. That does not mean digital, but it means that it’s an amplifier that has good control in the bass, and that delivers superb dynamics. It also means that it can provide 1000 Watts continually, and for short periods considerably more. Therefore the power can get up to 2000 Watts. I’ve many good and expensive subwoofers that has played awfully, and a lot of cheaper subwoofers that has surprised a lot when we have been to shows or out in the stores to listen. At home I was having a bit more trouble with placement. One thing is that it’s heavy to drag around. Another is that it requires its space around itself, and that it makes anything in proximity vibrate. It is so cool when it works well, but not so cool when the kitchen-ware starts marching on a steady beat towards the edge of the cabinet and down towards the floor with destruction on mind. Even when it plays deep as a well there is an impressive calm over the whole experience. You need to stress the subwoofer quite a lot for it to break up, and there is extremely little unwanted noise to detect from the cabinet. But there is reason to come with a little warning. With powers like these, your room needs to be in good shape. 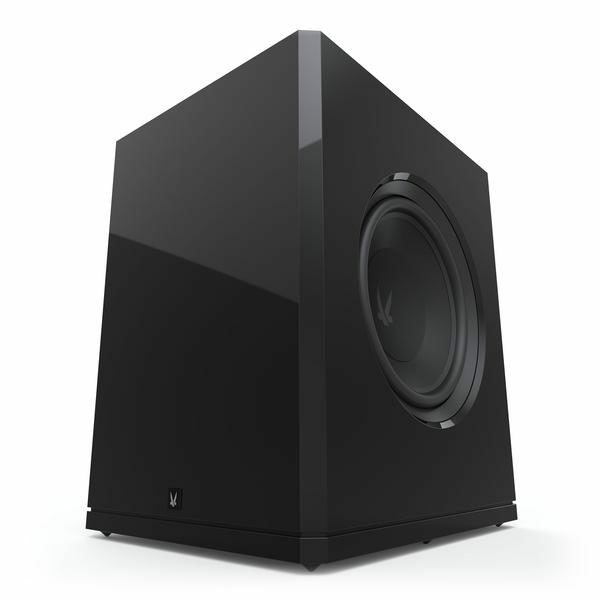 You can not place a subwoofer like this in an ordinary living room and throw out all SPL-inhibitions out the door. In that case you need to secure pictures, lamps, glass goods and the inventory in your kitchen cabinets for good, before the session starts. Comprehensive damage on glass and loose parts are not covered – as far as we know, by a normal home insurance. What I also have registered is that both speakers and amplifiers I have at home doesn’t have close to the SPL needed to follow the subwoofer all the way to the finish line. Therefore I always lie at least 6-9dB under the max SPL of Subwoofer 3. What I am not pulling out in terms of SPL and weight, I get back in the shape of extra headroom, dynamic surplus and lower distortion, something that is also a good argument to buy a larger subwoofer than what you think you need, or perhaps an excellent excuse – if you need one.